Samsung has already announced the Galaxy Tab 4 lineup of tablets, the 7-inch, 8-inch and 10.1-inch models. However we didn’t have a release date until now. Samsung has announced today that the Galaxy Tab 4 lineup will be available in-store on May 1st, which is about a week away. The Samsung Galaxy Tab 4 tablets aren’t the best tablets out there, but for their price, they are pretty good. Especially for those looking to get a tablet from Samsung. 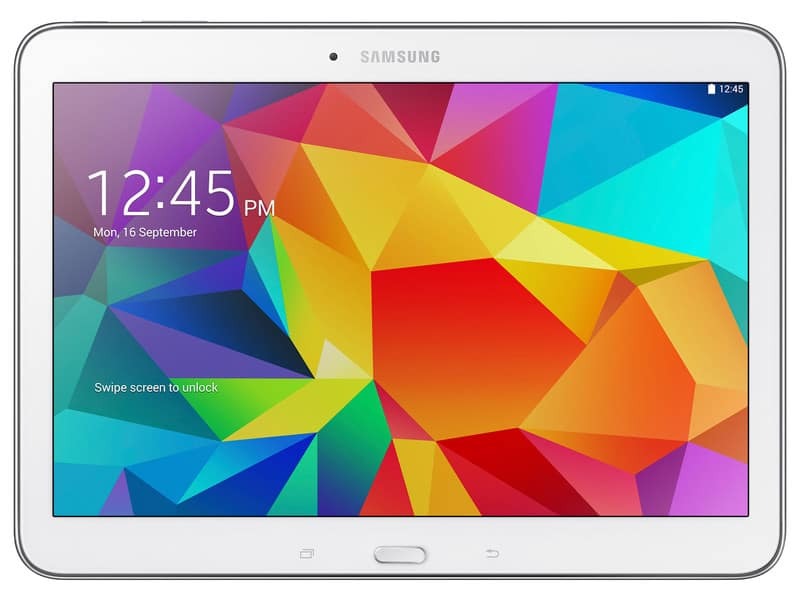 The Galaxy Tab 4 7-inch is going for $199, the 8-inch for $269 and the 10.1-inch for $349.99. Each tablet has a 1280×800 resolution display, so not quite the Full HD we’re used to seeing these days. But it also has a 1.2GHz quad-core CPU, Android 4.4.2 Kitkat, 1.5GB of RAM, 16GB of internal storage with a microSD card slot of course – the Galaxy Tab 4 7-inch has an option for a 8GB model – and a 3MP and 1.3MP camera on all three models. They will be available at most retailers including Amazon, Best Buy, Walmart, Target, etc. Once more, LTE versions will be available at T-Mobile this summer. RIDGEFIELD PARK, N.J. — April 23, 2014 — Samsung Electronics America, Inc. today introduced three new tablets as part of the Galaxy Tab line. The 7-, 8-, and 10.1-inch Galaxy Tab 4 tablets offer a variety of screen-size options, providing various form factors to meet the needs of consumers and businesses alike. The Wi-Fi-enabled Galaxy Tab 4 portfolio, featuring a lightweight profile with thin bezels and a textured backing, will be available in the U.S. beginning May 1, with pre-orders starting tomorrow. With its HD display, the Galaxy Tab 4 makes a great entertainment companion for the whole family. Multi User Mode lets each member of the family make the Tab 4 their own with private, customizable profiles. Kids Mode allows parents to set limits for their children, restricting accessible apps and managing length of play. Samsung continues to partner with leading news, productivity and entertainment sources to provide premium content for the Galaxy Tab 4. With Galaxy Perks, consumers have access to popular and best-selling news, social media, and cloud storage applications including: Google Play, Dropbox, Sirius XM and Audible.com. For more information, visitwww.samsung.com/us/galaxyperks. Preloaded apps like Netflix and WatchOn instantly make the Galaxy Tab 4 perfect for viewing content and managing your entertainment. Whether in-the-field, at home or at the office, the Tab 4 7.0, 8.0, and 10.1 keep users connected securely, with built-in features that support enterprise-grade VPN, corporate email, on-device encryption and scalable mobile device management. The Galaxy Tab 4 lineup gives users the portability and performance they need to work on the go. Powerful quad-core processors and Samsung’s innovative Multi Window functionality provide multitasking capabilities, enabling users to simultaneously view two apps at once and drag and drop content with ease. The Samsung Galaxy Tab 4 line will be offered in a choice of black or white. The new tablets will be available for purchase from major retailers nationwide on May 1 with pre-sales beginning April 24 at Samsung.com, Amazon.com, Best Buy, Fry’s, Office Depot, OfficeMax, PC Richard and Son, Sears, and Tiger Direct. AT&T will offer the 4G LTE Galaxy Tab 4 this summer. Sprint will offer the 4G LTE Galaxy Tab 4 7.0 this summer. T-Mobile will offer the 4G LTE Galaxy Tab 4 8.0 this summer. Verizon Wireless will offer the 4G LTE Galaxy Tab 4 8.0 and 10.1 this summer. The Wi-Fi enabled Galaxy Tab 4 7.0, 8.0, and 10.1 will be priced at $199.99, $269.99 and $349.99, respectively. The post Samsung Galaxy Tab 4 Tablets hitting Stores on May 1st appeared first on AndroidHeadlines.com |.